Less than 1 percent of Houston’s foundation, state and federal arts funds went to Latino groups from 2010 to 2015. 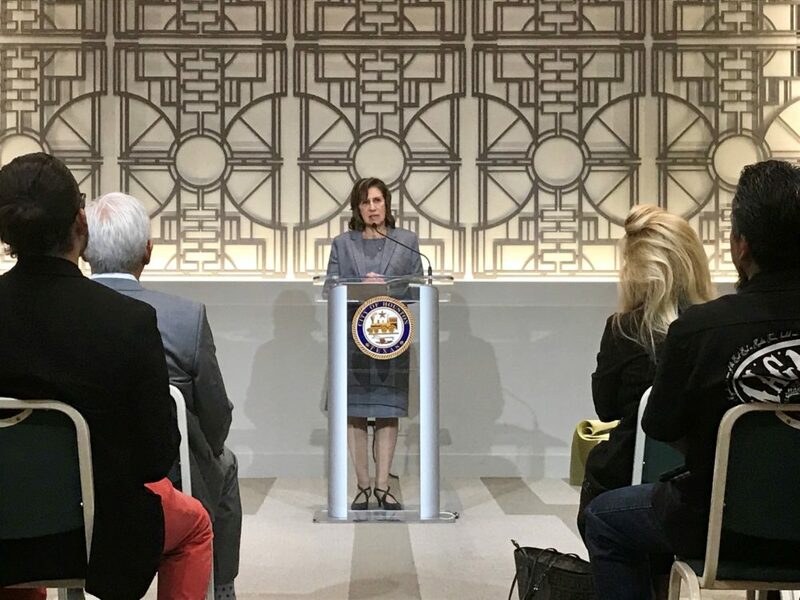 María López De León, director of the National Association of Latino Arts and Cultures, revealed the report’s findings at Houston City Hall Friday. 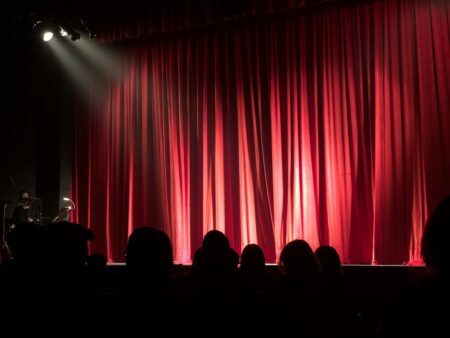 Though over 40 percent of Houston’s population is Hispanic, a small fraction of cultural grants and funds go to Latino arts organizations, according to a new report by the National Association of Latino Arts and Culture. Seven percent of the city’s tax-related arts funds (Houston Hotel Occupancy Tax Arts Funds) went to Latino organizations. Less than 1 percent of Houston’s foundation, state and federal arts funds went to Latino groups from 2010 to 2015. Tony Diaz promotes Latino arts in Houston and said the lack of funding can discourage creativity within the community. “I think what happens is that there’s a whole base of folks that could be expressing themselves, sharing their art and gifts. Either they leave or they give up or they get disheartened,” said Diaz. The Houston Hispanic Chamber of Commerce reported the local Latino spending power as over $54 billion. Local artists gathered to discuss inequities in how arts funding is distributed. The roll out of the report also spurred conversations among Latino artists about how to solve the inequity problem after decades of organizations being underfunded. Many arts leaders spoke up about the need for more inclusion of Latinos from a variety of backgrounds, including people from all over Latin America and LGBTQ artists. 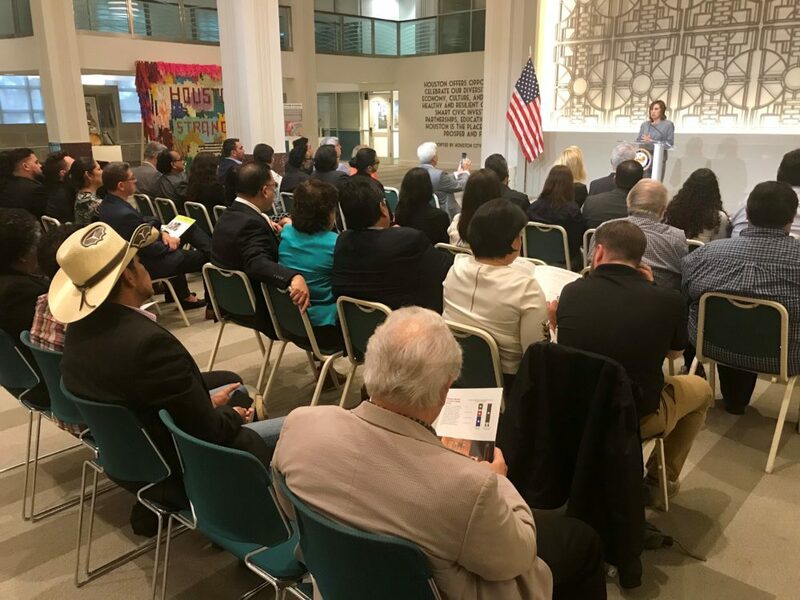 The report, which was commissioned by Mayor Sylvester Turner’s Hispanic Advisory Board, coincided with the declaration of September 14 to be Latino Arts Day.